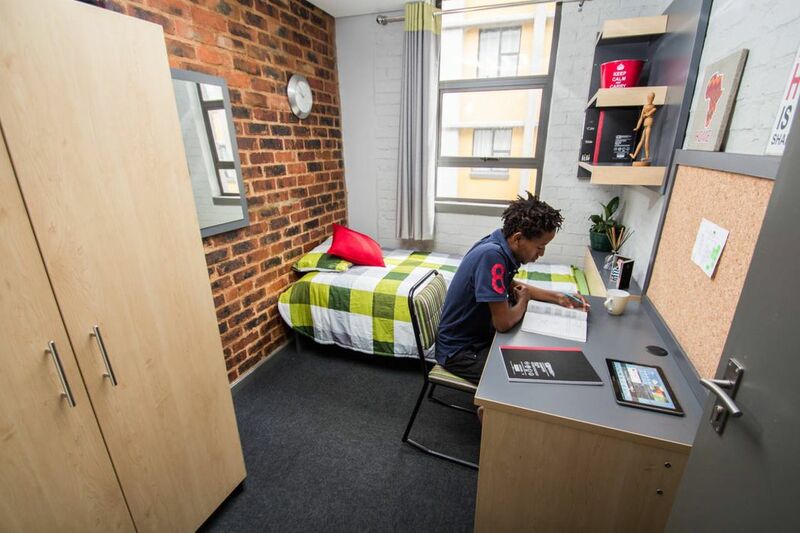 Plug into the active scene at the University of Johannesburg when you move into the student accommodation of Saratoga Village. Grab lunch at nearby popular restaurants serving up everything from burgers to spicy chicken. Explore the collection at the Johannesburg Art Gallery, then head over to the Constitutional Hill neighborhood to gather with your friends on the patio of The Hill Café. Plan your weekend around a trip to The Bioscope, a cool venue that includes a cinema, bar, and stage for live music. Check the schedule at nearby Ellis Park Stadium to see a sporting match or big-name concert. 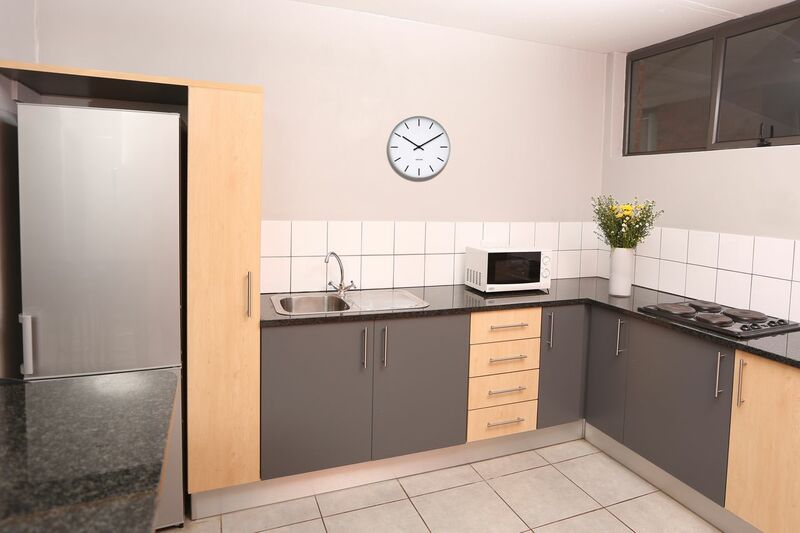 Living in a brand new student home at Saratoga Village puts you just steps away from the campus of University of Johannesburg. Get ready for school at your leisure, then cross the road to be at your lectures in less than five minutes. When classes are done for the day, go back across the street to your new apartment. Use your biometrics to gain access through the front door, and head for your bedroom. Change into your swimsuit and grab a towel from your clothing cupboard on your way to the outdoor pool. Relax by the water for a few hours, then stop by the fully equipped fitness center for a workout of your choice. After washing up in your bathroom, heat up a meal in the microwave or on the four-plate stove of your kitchen, and bring it down to the game room to hang out with your neighbors and play a few games of billiards. 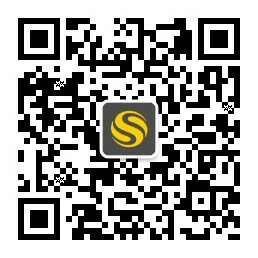 There’s also an on-site canteen for students. Later on, collect your laptop and make your way to the computer lab to finish up a class project. If you need a bit of privacy, book one of the study rooms that offer individual desks. 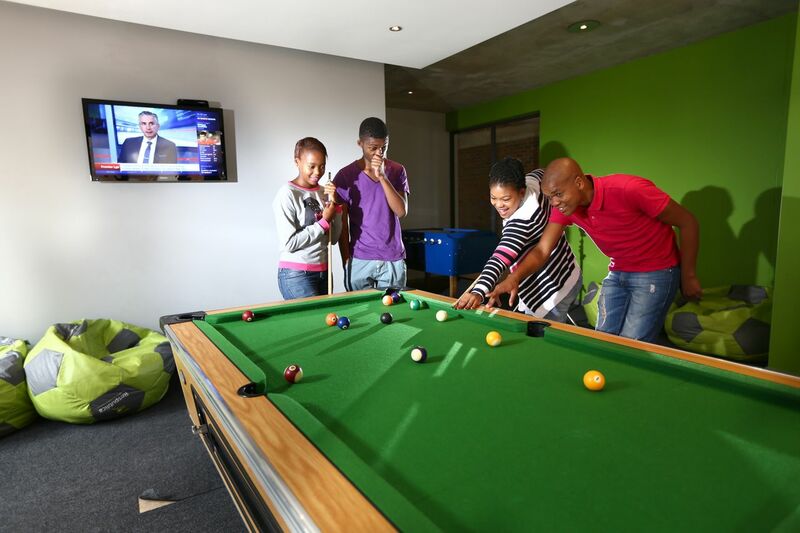 With unlimited and uncapped Wi-Fi throughout the residence, you can get your research done and connect with family and friends back home. At the end of your day, kick back on your spring mattress in your bedroom. You can rest easy knowing your safety is a top priority. There’s a 24-hour security team on site and CCTV cameras to monitor the residence at all times. Wir haben leider keine Unterkunft gefunden, die deinen Wünschen entspricht.Alle Mehrbettzimmer in Saratoga Village ansehen. Wir haben leider keine Unterkunft gefunden, die deinen Wünschen entspricht.Alle Privatzimmer in Saratoga Village ansehen.